Which Video cameras are best for Wedding Films Makers? and then traveling from London Euston to Knightsbridge via the Tube to where I was staying I wanted to prove a point; namely that I could take my small Sony A7sii on the trains and film people without them really being aware that I was filming. Why did i do this you might ask? To prove that small cameras are better in many cases to bigger ones- especially for Wedding Videographers! 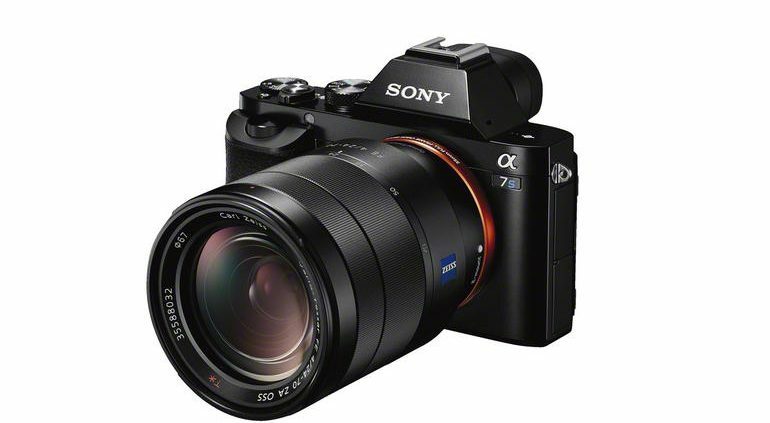 The Sony A7sii is a case in point in that this small handheld camera not much bigger than a point and shoot is a dedicated professional cinema 4K camera capable of producing images that belie it’s small form factor. Years ago if you wanted your Wedding Filmed you could have ended up with someone with a camera that, well, resembles Del Boy’s in Only Fools and Horses when he got a consignment of dodgy camcorders from Russia- a huge hulking thing that if pointed in someones face could make them feel very conspicuous. Many mistakenly have the view when it comes to technology that bigger must be better but when it comes to cameras this is definitely NOT the case. Small form factor cameras like the Sony A7 series prove this point- they look like a small photographers camera but inside they are a fully professional grade video camera that could be used to produce a feature film for broadcast and they have! For the wedding videographer this is very interesting because we can in affect become very inconspicuous in that people are not really aware that they are being filmed which is exactly what you want if you are a Wedding Film Maker! If you can film people when they are not aware that they are being filmed the net result is a Wedding Film that has some beautiful candid and real moments in it where the people in that film are in the moment and not in the camera if you follow me! At Julian Voigt Wedding Films we look to create emotion filled wedding films that are real and filled with moments that bring back all those emotions experienced on the day. Another great benefit of small form factor cameras like the Sony A7s is that you can fit into the smallest of spaces and get shots others with bigger rigs couldn’t. So for the Wedding Videographer smaller is better! How to tell the couple’s story in the Wedding Film When is a Wedding Video NOT a Wedding Video?